In the early days of industrialisation Iserlohn was the largest city in Westphalia. Iserlohn’s growth spurt happened early because of a burgeoning metalworking industry. This had been around since the city was founded in the Middle Ages, when armourers used wire-drawing techniques to make suits of chainmail. But it gained real momentum in the 1700s, and there are a few historic workshops where you can indulge your curiosity about this old craft. 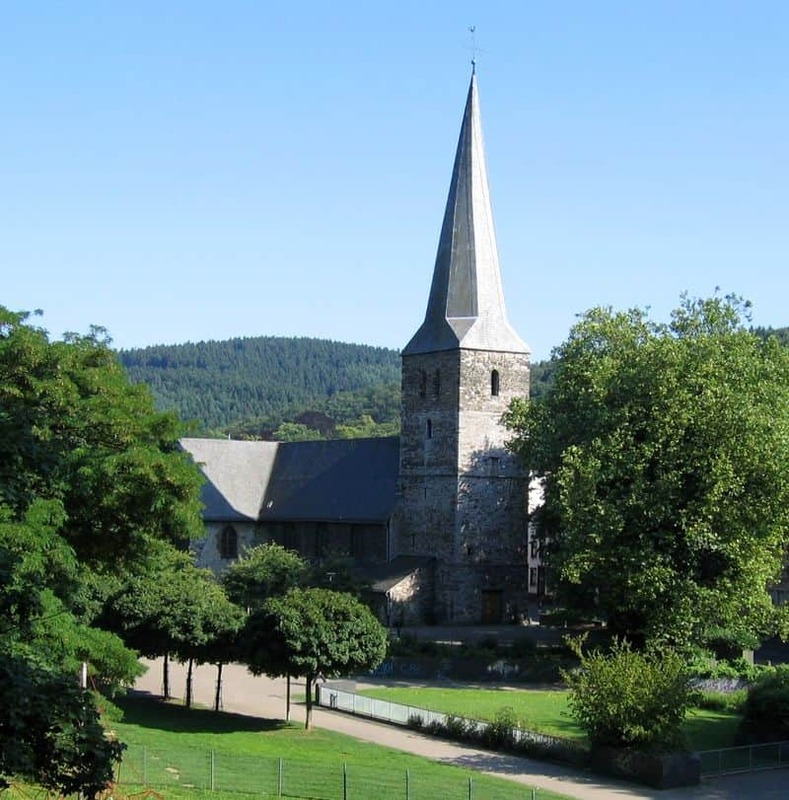 The countryside in Iserlohn is idyllic, in the northwestern corner of the Sauerland region. There’s a metal-themed hiking trail worth checking out, as well as one of Germany’s most visited show caves with outlandish stalagmites and stalactites. One of the top show caves in Germany first came to light in 1868 when it was found by two rail workers after one dropped his hammer into a crevice and went down to look for it. On more than 400 metres of paths you’ll enter a strange world of tall stalagmites, stalactites and other limestone concretions. A decade ago the German Cave Museum opened in the old railway station building, with cave fish in an aquarium, replicas of cave paintings from around Europe, as well as some of the finds from the Dechen Cave like the skull of a prehistoric rhinoceros. Because Dechen Cave was property of the railway company for its first hundred years, a station was built by the entrance, so you can get there on line RE 16 or RB 91. 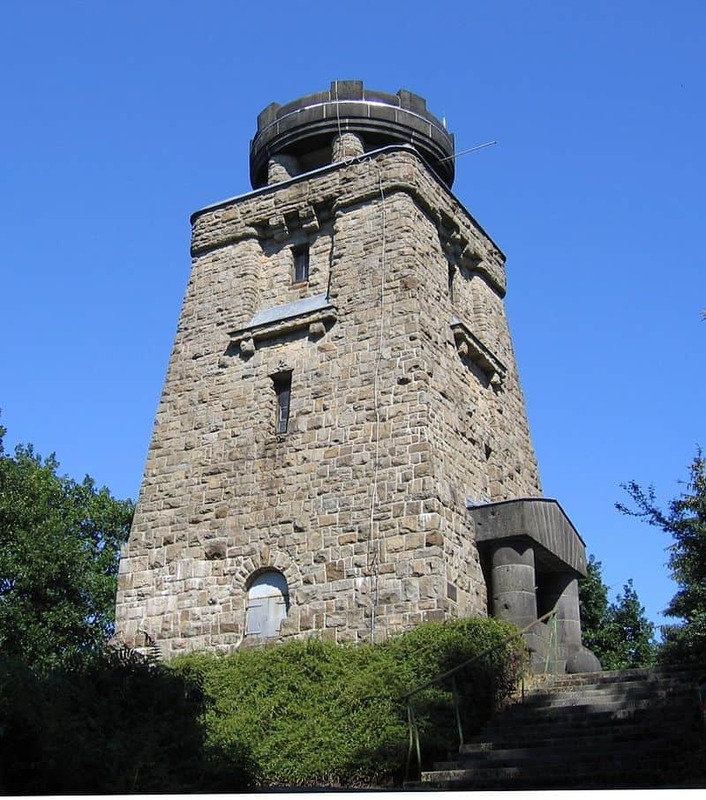 In the Iserlohner Stadtwald (City Forest) in the Sauerland countryside south of the city there’s a telegraph station from 1909 atop the 385-metre Fröndenberg hill. Rendered in a romantic Neo-Renaissance style the tower quickly became one of Iserlohn’s landmarks and survived both World Wars undamaged. There’s a restaurant in the newer building below, and when this is open you’ll have access to the tower’s observation platform. This is 28 metres and 100 stairs up, and if you pick a day with good visibility you can make out the skylines of Dortmund, Unna and Hamm on the horizon. In the countryside a short way north of Iserlohn is a picturesque early industrial settlement. 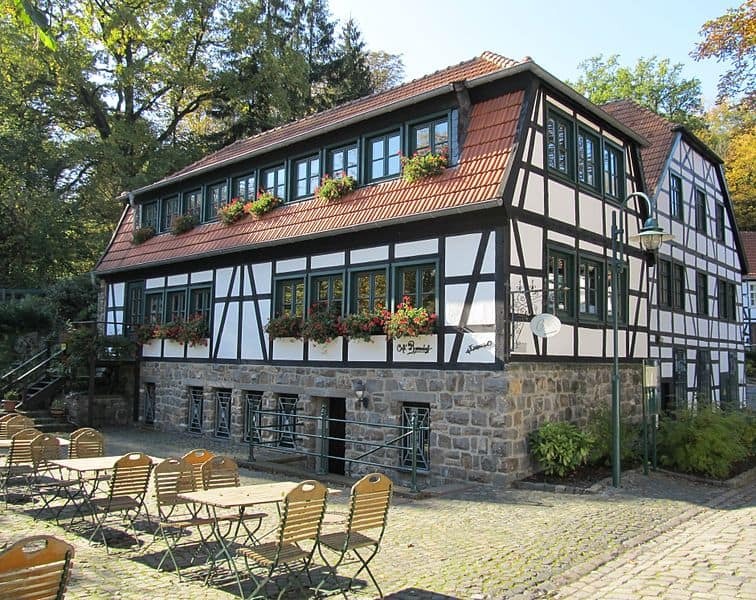 This historic needle factory is made up of ten half-timbered buildings from the beginning of the 19th century, built around a brass rolling mill by the Iserlohn manufacturers Duncker und Maste. The water-powered rolling mill was the first facility here, but it was soon joined by workshops for casting, tamping, soldering, wire-drawing, as well as an iron foundry. Some of the products made at Maste-Barendorf included needles, nails, furniture and door fittings, candlesticks and small bells for tables and sleighs. In 1987 the site was opened as a museum recording Iserlohn’s metalworking legacy. You won’t need more than ten minutes to get to this family-friendly park in neighbouring Hemer, which hosted the Landesgartenschau (State Garden Show) in 2010. Most of the attractions created for the show have been preserved, like a “garden of the senses” with different scents, a maze, an expansive formal themed garden and a rose garden. 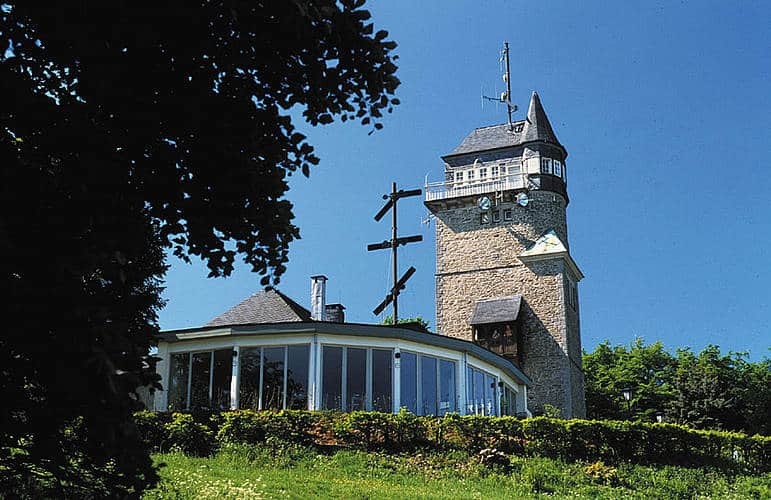 Also make sure to climb the Jübergturm, an arresting 23.5-metre observation tower, which is a new landmark for the town. And sitting in front of the new Grohe Forum event hall is the “Himmelsspiegel” (Sky mirror), a, 850-square metre water basin reflecting the sky, and where kids can splash around on hot days. Also beloved in Iserlohn is this 14th-century church, distinguished on the outside by its whitewashed walls. This two-nave hall church is the largest Protestant place of worship in the city and there’s some historic art inside that deserves closer inspection. In the choir there are Gothic carved wooden stalls as well as a sublime sedilia (row of stone seats) with tracery on the south side. The head-turner though is the 15th-century Flemish winged altarpiece, with figures of 18 saints in little niches and eight painted panels showing scenes from the life of Mary. The water reservoir just outside the city is a go-to recreation area in summer or winter. When it’s warm you can rent a pedal boat or row-boat from the little boathouse or take an easy stroll on the path around the shore and visit the aviary with exotic birds. In winter the water is known to stay frozen over for weeks on end and families will come skating on weekends. From the water you can also pick up a hiking trail to explore the Seilerwald forest, which sweeps out for several kilometres to the north and east. One of these is route A1, plotted and maintained by the Sauerländischer Gebirgsverein (Sauerland Mountain Association). One option for a walk in the Seilerwald would be to make the calorie-burning climb to the memorial tower for the first German chancellor and unification figure Otto von Bismarck. The tower is at the crest of the Seilerkuppe hill, more than 130 metres up from the reservoir. The Bismarckturm was started just after the First World War had got underway and was inaugurated in 1915 on Bismarck’s 100th anniversary. The tower is owned by the city and you can go up the 57 steps to appreciate the serene beauty of the Seilerwald. Iserlohn’s oldest preserved building is founded on a Romanesque basilica from the 10th century. In its earliest days the church’s 60-metre tower was used for defensive purposes, which is why there’s a lack of ornamentation. In the Late Middle Ages the church was given a Gothic design when the choir was extended and traceried windows were installed. On the tower and in the north aisle you’ll see the older, semi-circular windows, which are holdovers from the original basilica. The altarpiece and tabernacle are both Gothic, while the pulpit is Baroque and dates to the 1700s. In an 18th-century Baroque townhouse, the city museum has a good reputation in the region and is on the European Route of Industrial Heritage as it tackles Iserlohn’s early metalworking heritage. In the vaults in the basement you can go back much further to view stone tools and bones of prehistoric animals. Further up there’s a riveting exhibition about Medieval wire-drawing, which was essential for making chainmail. You can try on a coat of chainmail to find out what Medieval soldiers had to deal with. You’ll also find examples of Iserlohn boxes, engraved copper or brass tobacco containers, and learn about the iron and zinc ore that fed Iserlohn’s mills. Finally, there’s an exhibit on the Iserlogn Rebellion of 1849, when a democratic insurgency was crushed by Prussian troops, killing around 100 people. If you’re in the mood for a walk you could follow Gartenstraße up from the old centre into an affluent suburb for Iserlohn’s 19th -century bourgeoisie. In the rows of grand historicist mansions is Villa Wessel, built on a balustraded terrace in the 1890s for the industrialist Otto Auer. 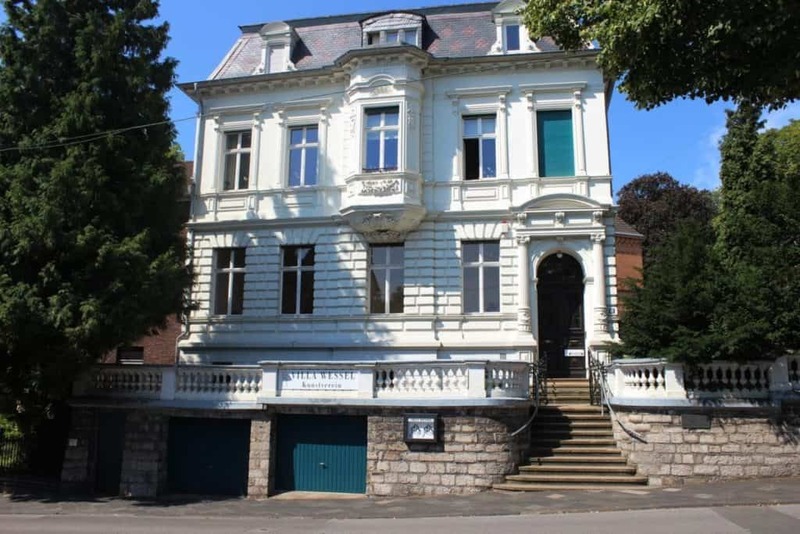 In the 20th century it became home to the artist couple Wilhelm Wessel and Irmgart Wessel-Zemloh. After they passed away the villa was taken over by an art association putting on temporary shows for modern and contemporary art. Since 1991, work by some of the most revered artists of the last 100 years has been shown on the ground floor, including names like Käthe Kollwitz, Otto Dix, Georg Baselitz, Alexej von Jawlensky, Jaume Plensa and Pablo Picasso. If you need to get your bearings in Iserlohn the place to go is Schillerplatz, where the town hall is situated. 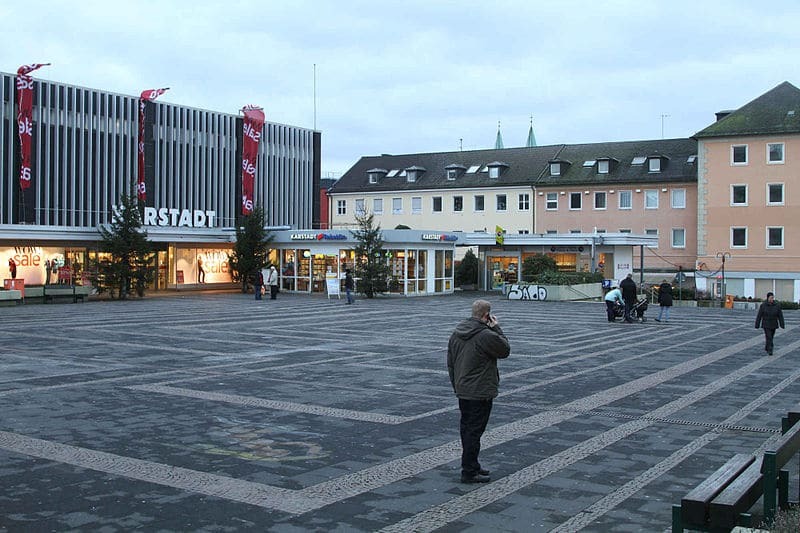 From this spot you’ll be moments from all of Iserlohn’s high street shops, while there’s a branch of the department store Karstadt right on the square. The Sparkasse savings bank building on the west side also hosts regular art exhibitions. The recommended time to come to Schillerplatz is on a Wednesday or Saturday morning when the market is in full swing, selling flowers, fruit, vegetables, cheese and handmade textiles. If you’d like to find something local and authentic in Iserlohn grab some local mustard (Thomas Senf). 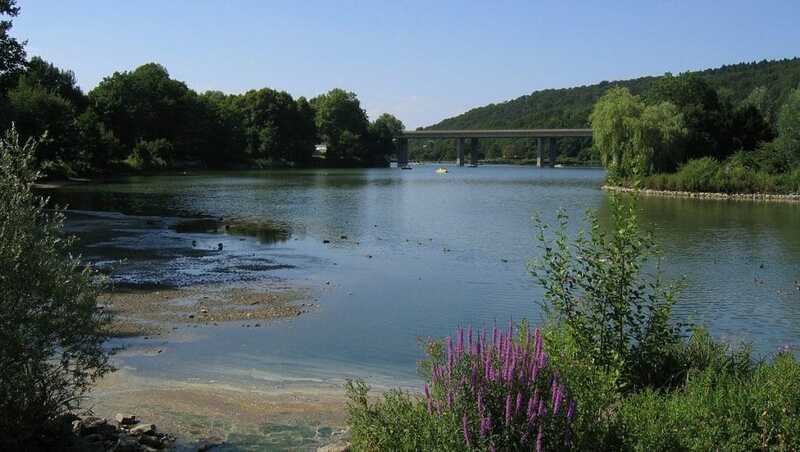 Starting in Iserlohn is a 32-kilometre hiking trail wending its way south to the town of Lüdenscheid. The trail is steeped in historical meaning, as it follows a Medieval trade route over the Sauerland mountains that was used for transporting wire and other metal items. This hilly, rollercoaster trail leads you past old rolling mills and ore mines. There are 25 panels on the route describing the old wire trade and dipping into the history of the many sites. 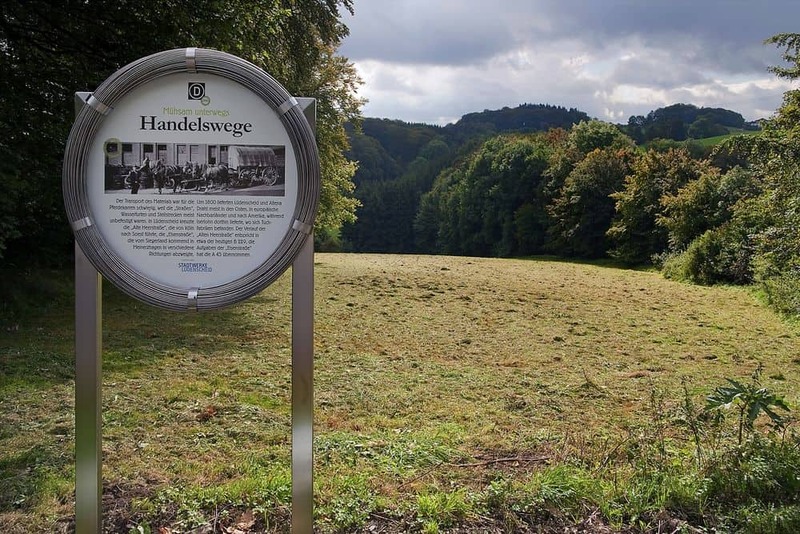 Dedicated walkers could get a hiking book stamped at inns along the way to qualify for a commemorative pin at the end of the hike in Lüdenscheid. This minor museum is open in the afternoon from Wednesday to Saturday and offers more insight into old crafts in Iserlohn. 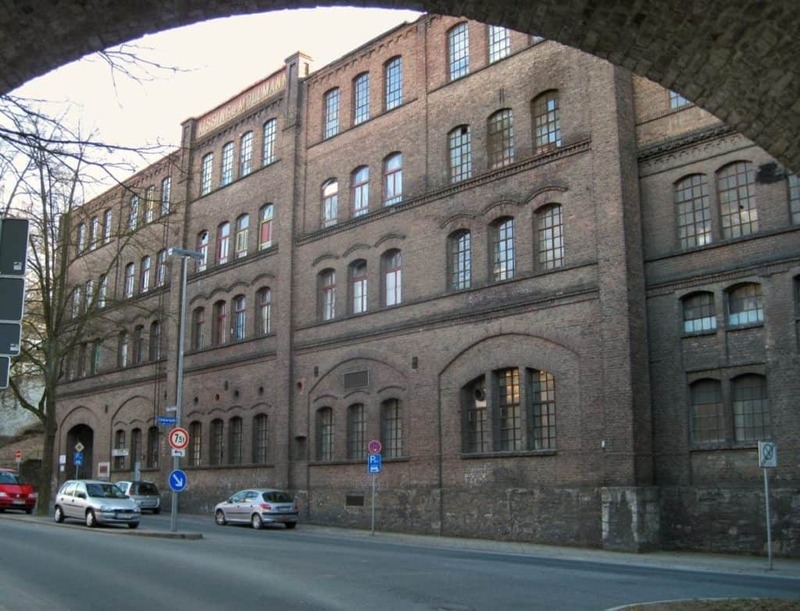 The building itself is a lovely half-timbered rolling mill from the 1800s. There are tools, photos, documents, along with the products from 20 different trades in Iserlohn, from armourers making chainmail to masons, carpenters and gold and silversmiths producing fine filigree. In the late-90s Iserlohn’s historic post collection was moved into the building. This documents 250 years of the postal service in Iserlohn, with six rooms of artefacts tracking the service’s technical development. There are also in-depth exhibits about figures like Heinrich von Stephan, the general post director for the German Empire. An array of urban improvement projects were rolled out when Hemer staged the Landesgartenschau in 2010: One was to pave over an old disused railway line that linked Iserlohn, Hemer and Menden. So now you could take a three-kilometre ride to Hemer and take in the Sauerland countryside on the route. For scenery you’ll have old industrial monuments, gardens, forest and meadows. The best stretch is around the Obere Mühle (Upper Mill), where there are photogenic vistas of Iserlohn. Iserlohn has a proud tradition of Schützenvereinen, which are competitive shooting clubs. These organisations are found across Germany, and many even originated centuries ago as town militia. 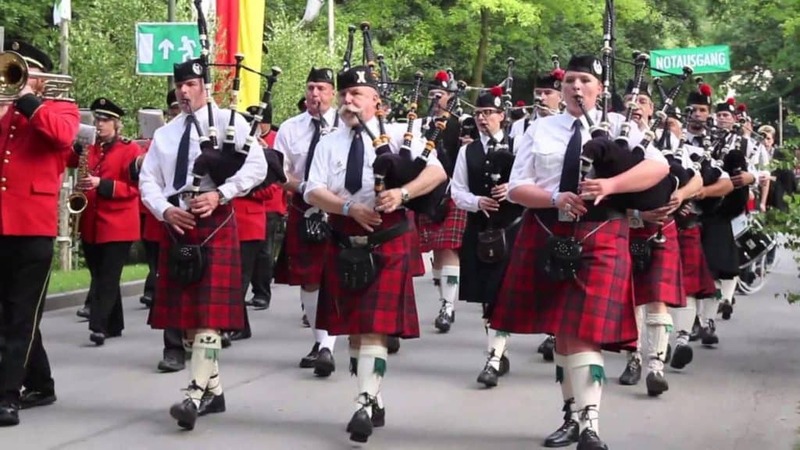 Every summer in July the Iserlohner Bürgerschützenverein (IBSV) stages what is the largest folk festival in South Westphalia, with a long weekend of ceremonies, parades in full regalia and target shooting competitions that attract up to 50,000 spectators. There’s also live music and amusements at the fairgrounds in the Alexanderhöhe and a solemn procession through the city on the Saturday morning.